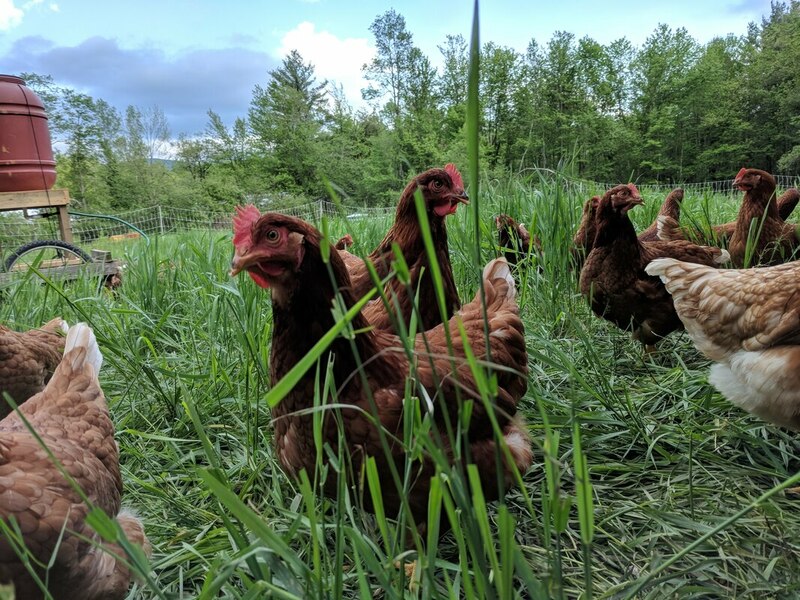 Description: Our chickens live on pasture, and lay eggs that are super delicious. This year they will also be Certified Organic. Description: Meat shares will contain one package of either beef or pork per week. Most are an easy to cook cut, ranging from beef kabobs to steak, sausage, pork chops, and even bacon. 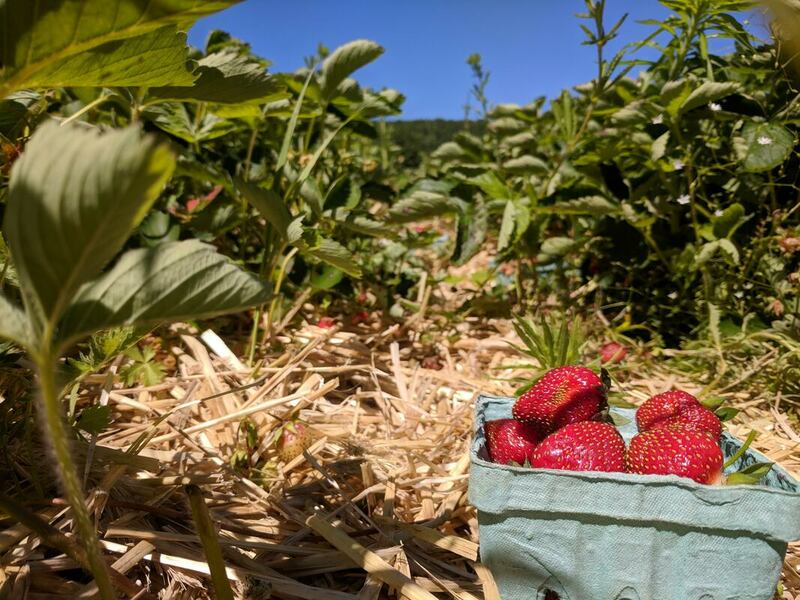 Description: Fruit shares receive 2-3 fruits per week, with emphasis on strawberries, but also including blueberries, raspberries, melons and more. Most fruits will be certified organic, or produced by methods that we consider to be nearly organic. Feel free to ask about specific production methods. Description: Bread shares receive a loaf each week, ranging from ciabatta to polenta bread. Due to their baking schedule, bread varieties will vary based on your pick up day. Most breads are produced with locally grown and milled grains, as well as certified Organic flours. 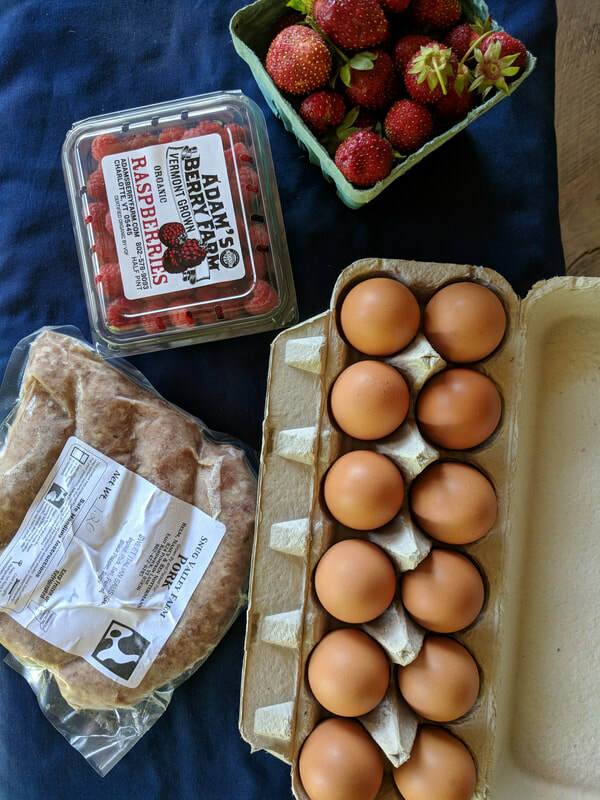 We produce eggs and some fruit on our own farm, but partner with other amazing local farms and food producers to bring you more of the staples. With the exception of the Fruit Add-on, most add-ons can follow your whole CSA season, (or just one if you want to try a bread share in the summer, but not commit for the whole season). ​Add-ons are all "Farmers' Choice" meaning that we or our partners will choose which fruit/bread/meat is included each week. No substitutions, please. Add-ons are priced weekly based on the CSA seasons (summer, fall, winter). Choose one or more seasons.